For the past year, I lived in New York while I finished up grad school and my boyfriend lived in San Francisco. I like my boyfriend and he’s pretty fun to hang out with so we saw each other about every other week. In October & November due to missing him and visiting with friends, I flew across the country and back 5 times. I tried to release my carbon emissions-guilt by reminding myself that we don’t have a car or use fuel in any other way (we walk or bike) so my total emissions footprint isn’t completely disgusting. There are a few other things I’d do, to help ease my conscience and the stress I was putting on the planet. Garbage & waste: Airlines LOVE to give you 10 little plastic or styrofoam cups of water/juice/soda/tea. Each of those snackboxes or premade meals (in addition to being just super gross) comes in enough cellophane to wrap 30 christmas presents. To keep things from going bad they basically wrap each cube of cheese or lettuce leaf. So, I bring my own food in my reusable snack bag or reusable containers. In addition to saving me the cash I’d spend on lousy airport food, I know my waste is minimized. I also ALWAYS bring a reusable water bottle (empty of course through the security line!) 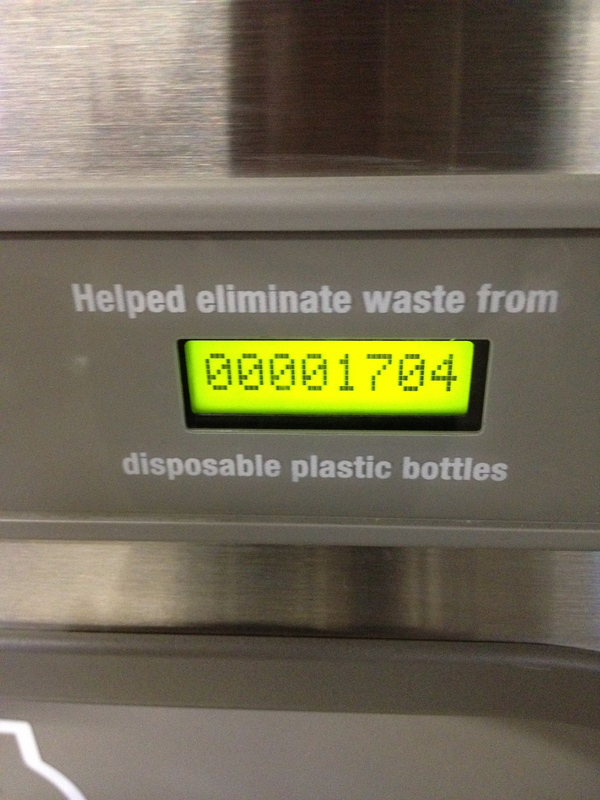 and fill it at the water fountain before boarding. You can also ask the crew to refill this. 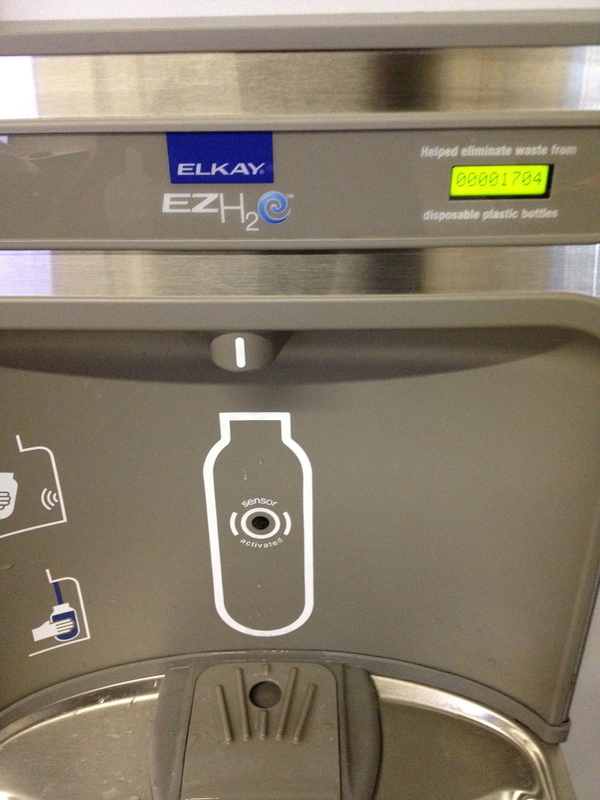 SFO and BOS have also recently set up refillable water stations to make this even easier for passengers! Sustainable planet, here we come! I also bring a reusable lightweight mug (try this) to keep my nemesis (Styrofoam) out of the ocean and landfills. If you are desperate for a soda ask for the whole can and bring it home with you to recycle or ask the stewardess if they have onboard recycling. You definitely don’t need that dinky logo-ed out napkin either so safe a tree limb and say no to that one. Remember, every little action counts!